General Motors appears serious about putting a self-driving car with no steering wheel or pedals into production next year. 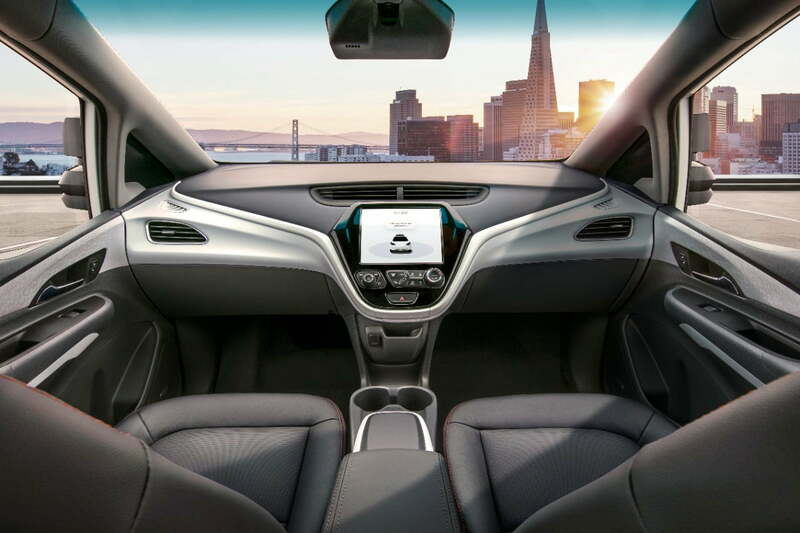 The automaker previously showed a rendering of a car interior devoid of manual controls, and now GM has confirmed that this “Cruise AV” will be assembled at its Orion, Michigan, plant in 2019. “We’re continuing to make great progress in our plans to commercialize in 2019,” GM president Dan Ammann said in a statement. The Orion plant will assemble complete vehicles, while roof modules containing sensors will be assembled at GM’s Brownstown facility. The automaker is spending $100 million to upgrade both plants for autonomous-car production. The Orion plant builds the Chevrolet Bolt EV electric car and Chevrolet Sonic subcompact. Workers have also been building prototype autonomous Bolt EVs for GM’s Cruise Automation subsidiary since January 2017. GM says about 200 of these cars have been built. Judging by how closely the interior in GM’s rendering resembles that of a Bolt EV, it’s possible that the production-spec Cruise AV will be based on the Chevy electric car as well. The source claimed Cruise cars have trouble performing U-turns and driving through construction zones, and that certain streets in cities where Cruise tests have been “blacklisted,” requiring autonomous cars to take longer routes than their human-driven counterparts. But the California Department of Motor Vehicles said Cruise self-driving cars had the second-lowest rate of disengagements from autonomous mode in 2017, behind only Waymo. GM claims it will be the first automaker to produce self-driving cars in large numbers, but that doesn’t mean it has a clear advantage in the race to automate the roads. Waymo has already received permission from Arizona regulators to operate autonomous cars without human backup drivers, and it’s buying thousands of Chrysler Pacifica minivans in preparation for the launch of an autonomous ridesharing service. Even though Waymo doesn’t own the assembly lines that build those minivans, it may still come out ahead of GM.